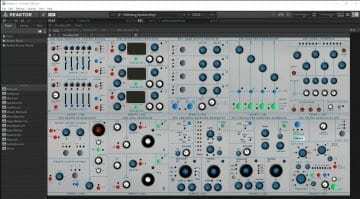 Front patching seems like an obvious thing to have on a modular synthesizer environment and Blocks has finally caught up and in one fell swoop made itself much easier to use. And with Blocks Base you can get started for free, and Blocks Primes is for those who want a bit more. Welcome to Reaktor 6.3. 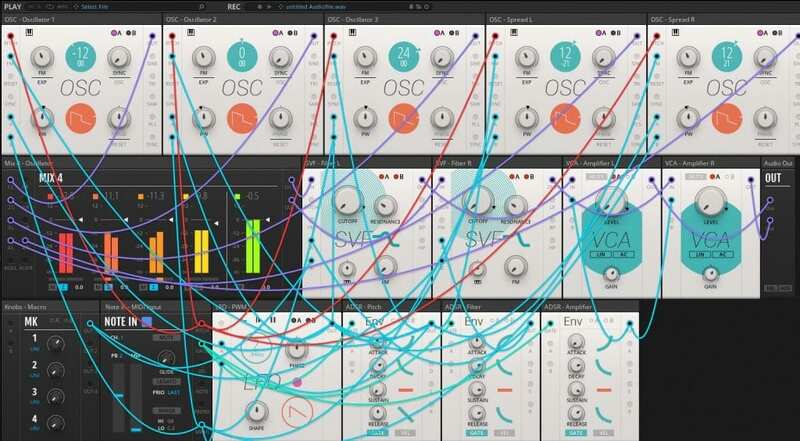 Reaktor 6.3 brings in the idea of a “Rack” and within a rack you can now patch the Blocks modules together from the front panel rather than dropping to the scary ensemble structure environment that still sits behind the scenes. This makes so much sense and connects you to Blocks in a much more intuitive and visually pleasing way. The In and Out “ports” appear on either side of the module which helps in keeping the patch cables in order. So too does the “hide wires” button because once you start patching they do tend to get in the way – but we like that! They’ve added a very handy “Quick Search” box for finding modules and adding them to your rack without having to search through the browser. Modulation is handled quite nicely in that you get two modulation ports per module. Patch an LFO or other modulators to port A or B and then choose how much of any or all parameters you want to modulate. It’s like macro-modulation. I’m sure there are a load of other improvements which you can read about here if you wish, including a surprisingly useful Welcome Screen. But let’s check out the new Blocks versions. This completely free to everyone. 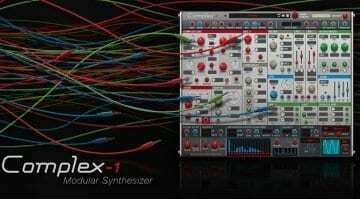 It’s a suite of 24 modules which is enough to build your own synthesizers and audio processors. There are 35 preset racks and some tutorial racks to take you through your first bits of patching. There are 11 modules from Bento Box which give you the main meat of your modular – oscillator, VCA, ADSR, LFO, mixer, sequencer and so on. 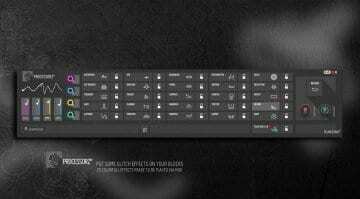 And then a load of utility modules that mix CVs, clock stuff, trigger stuff and brings it all together. 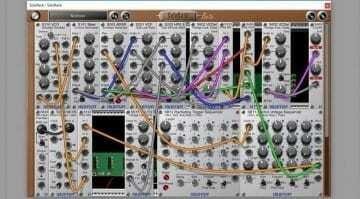 It’s an awesome bundle of modules that’s a great way to get started in modular. All I will say is that it does look a bit samey with just the Bento Box modules. If you want a bit more then Blocks Primes adds 23 more modules that take technology from all sorts of interesting places. There are effects like Driver, sequencers from Massive, the filter from Monark, West Coast complex oscillators, Kodiak utilities and all sorts of Boutique bits and pieces. If you own Reaktor then you get Base and Primes for free with the 6.3 update and they run inside Reaktor as normal. Blocks Base runs inside the free Reaktor Player and you can upgrade to Primes for €99 without having to purchase the full version of Reaktor. 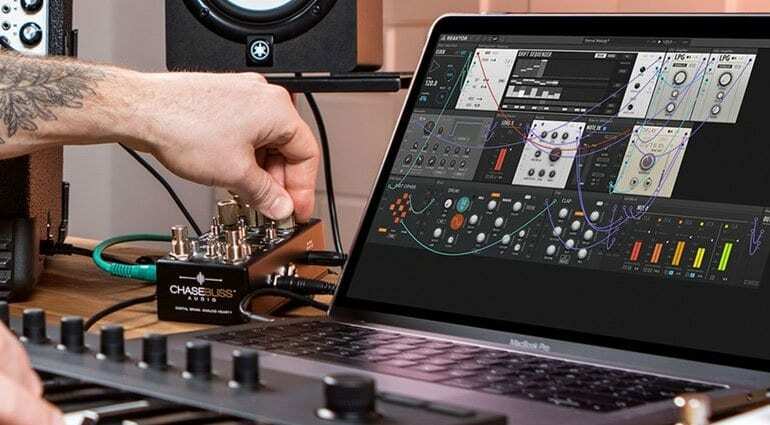 Native Instruments will also be offering more module packs down the line as will third parties. Unfiltered Audio has already published a bundle of free modules and a comprehensive premium pack. I wonder how easy it will be for users to create their own modules for this. Reaktor Blocks has always been a fabulous modular environment but it’s been hampered by the complexity of the structure environment. With the patching on the front, a proven quality of sound and a bunch of modules for free it’s become a real contender.